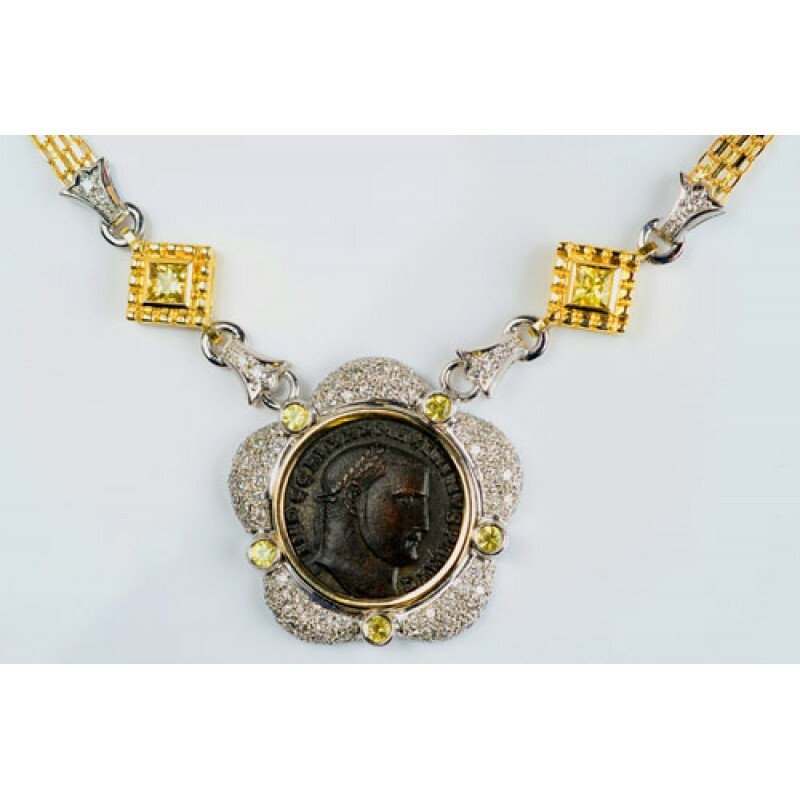 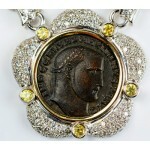 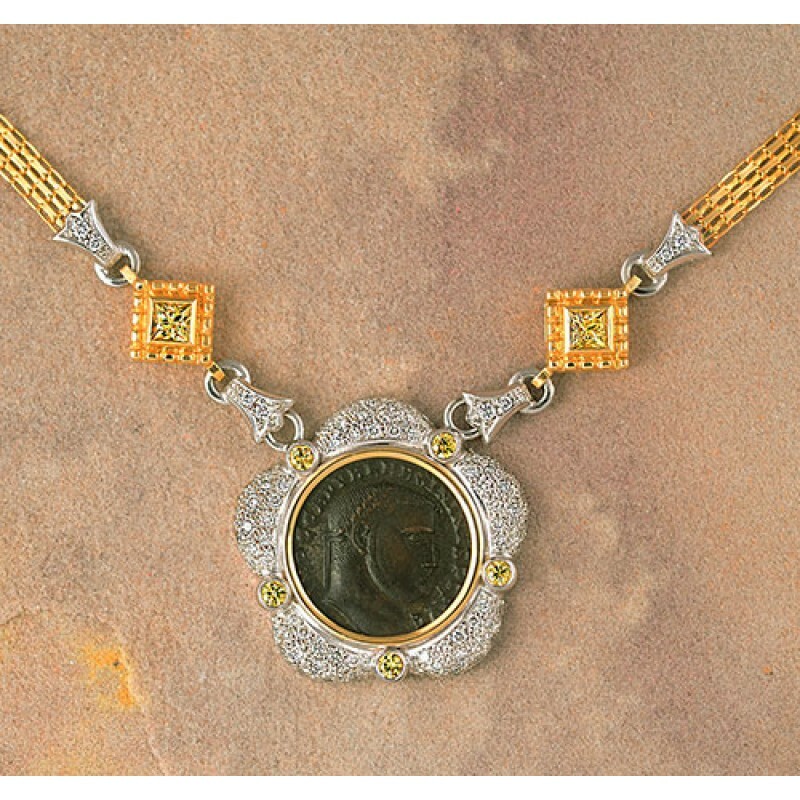 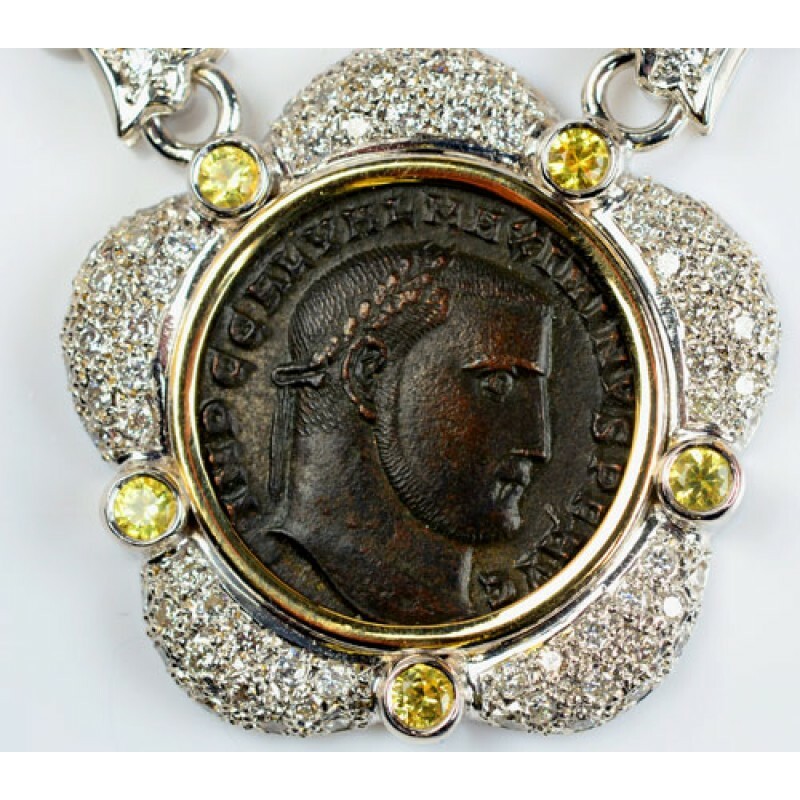 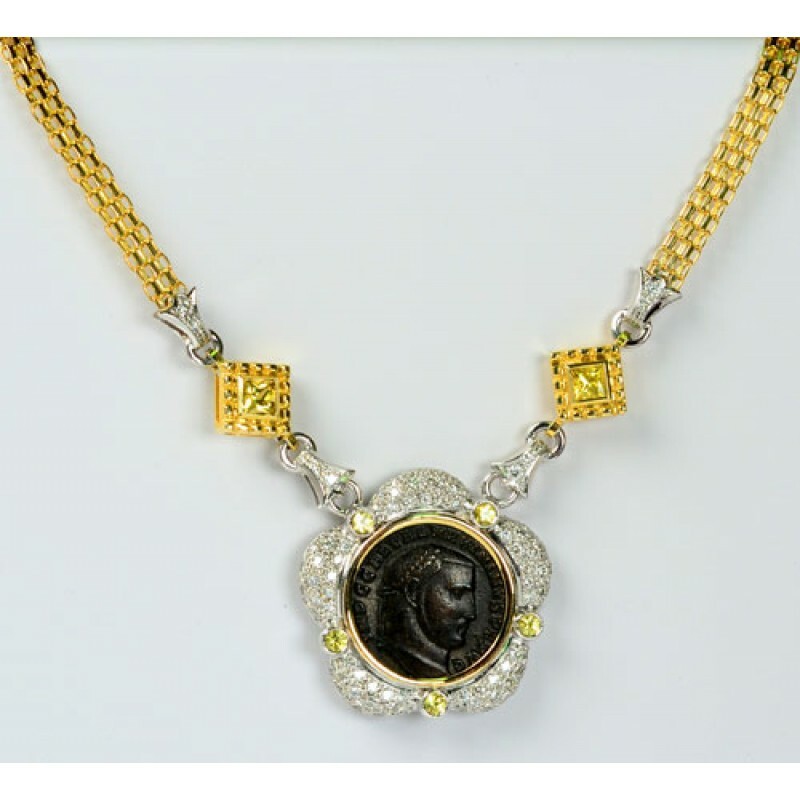 Stunning 14kt yellow and white gold coin necklace with ancient Roman bronze coin of emperor Maximinis II, circa A.D. 309-313. 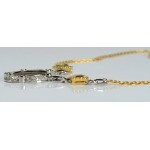 Set with 1.15 cts. 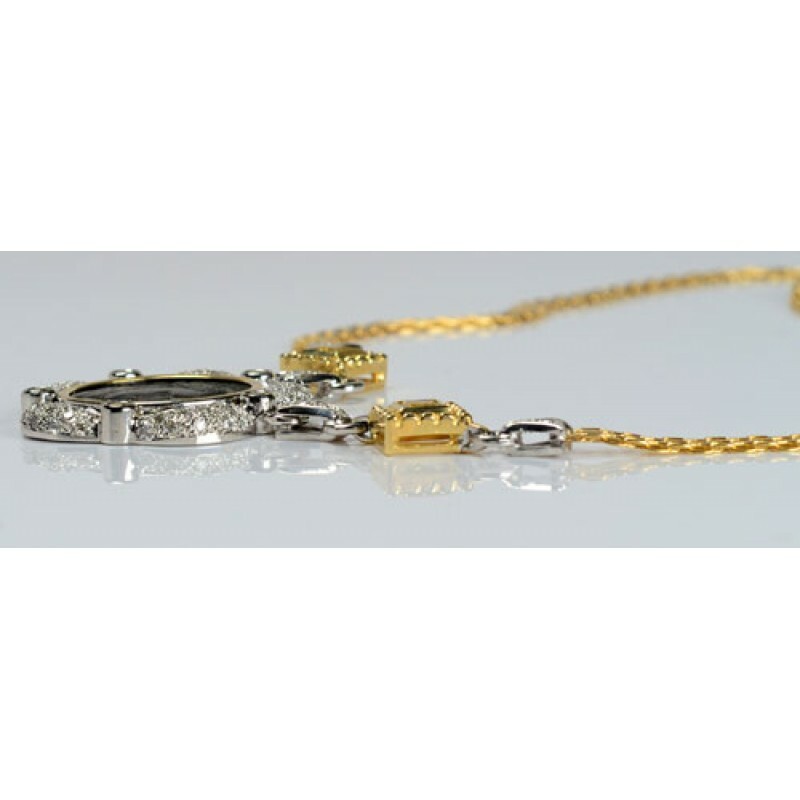 of pave set diamonds and 1.86 carats of natural faceted yellow sapphires. Length is 18". 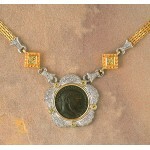 Total weight is 31.6 grams.